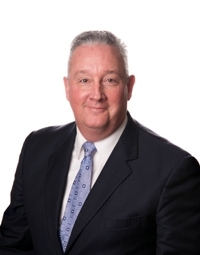 Billy Carroll is the president and chief executive officer of SmartBank and the president and chief executive officer of SmartFinancial, Inc. Mr. Carroll, also a founding director of SmartBank, has held the position since SmartBank’s inception. A graduate of the University of Tennessee, he earned his bachelor’s degree in Business Administration in 1990. Following graduation, Mr. Carroll worked for Kraft CPAs in Nashville, TN. He joined Citizens National Bank in 1992 where he held various management positions, including Executive Vice President and Chief Financial Officer. He also served on the CNB’s Board of Directors as well as the Loan Committee and Asset Liability Committee. Mr. Carroll is active in the community and served as past President of the Sevier County High School Foundation, member of the Sevierville Planning Commission, President of the Sevier County’s University of Tennessee Alumni chapter, and numerous other local organizations. Mr. Carroll currently serves on the board of the Federal Reserve Bank, Nashville Branch. Bryan Johnson is SmartBank’s executive vice president and chief financial officer. Mr. Johnson joined SmartBank in 2010 as vice president and controller. A graduate of the United States Military Academy at West Point, he earned his bachelor’s degree in Economics, Mathematical in 1991. After college, Mr. Johson attended Officer Basic Training and Airborne School before serving as an Artillery Officer with the First Armored Division in Europe. Following a deployment to Bosnia as the Battalion Intelligence Officer, Mr. Johnson left the Army as a Captain. In 2000 Mr. Johnson earned his J.D. and MBA in Finance from the University of Tennessee, and also received the Chartered Financial Analyst Designation. Following graduate school, Mr. Johnson joined Moon Capital Management, a registered investment advisor. There he was responsible for the research of investments on behalf of individual and institutional clients. Mr. Johnson also worked as an Adjunct Professor for the University of Tennessee teaching Security Analysis and Financial Statement Analysis courses from 2002 – 2009. He is the Treasurer of the CFA Society of East Tennessee and a member of the West Point Society of East Tennessee. Wesley “Miller” Welborn currently serves as SmartFinancial Chairman of the board of directors. Mr. Welborn’s career has included a variety of ventures, including former Founding Partner of the Lamp Post Group, a Chattanooga, Tennessee-based venture capital incubator, where he served from 2010 to 2015. He also served for 10 years as President of Welborn & Associates, Inc., a Chattanooga, Tennessee-based transportation logistics consulting firm, and is the former President and Chief Executive Officer of the publicly traded trucking company, Boyd Brothers, Inc. Mr. Welborn also serves as a director of Covenant Transportation Group, Inc. (NASDAQ-CVTI). His expansive and deep knowledge of the Chattanooga community is not only valuable for entrepreneurial and strategic initiatives, but he also provides experience with public company purchase and sale transactions. He brings experience in leadership and business operations with his past role as President & CEO of Boyd Brothers, Inc. His former partnership with Welborn & Associates, Inc. and his role as President & CEO of Boyd Brothers, Inc., showcase his ability to understand high functioning companies, including the inner-workings of publicly traded companies. His involvement as founding partner of the Lamp Post Group, also prove his financial knowledge of strategic capital development. He also serves on the board of several non-profit organizations. Bill Carroll is SmartBank’s chairman of the board and director of business development. He began his banking career in 1963 at Hamilton National Bank in Knoxville where he was assistant vice president and loan officer. He joined Citizens National Bank in 1973 and later served as chairman and chief executive officer. Active in his community, Bill Carroll has served in a number of organizations including past president and board member of the Tennessee Bankers Association, past member of the American Bankers Association Government Relations Committee, past board member of the Federal Home Loan Bank of Cincinnati for three terms, past chairman of the board of the Fort Sanders Sevier Medical Center, and a past board member of Fort Sanders Alliance as well as several other reputable organizations. Mr. Carroll is also a past member of the Board of Trustees for Walter’s State Community College Foundation and the Board of Trustees for the University of Tennessee. He serves on SmartBank’s Executive Loan Committee, Human Resources Committee, Investment/ALCO Committee, and is an ex-officio member of the Audit Committee. Vic Barrett, a Texas native, earned his BBA degree in Accounting from the University of Texas at El Paso. He became a licensed CPA in Texas and Tennessee. Mr. Barrett worked in accounting and finance at various oil related companies in Houston before moving to Pigeon Forge, where he co-founded The Track Recreation Center family entertainment business. The Track Recreation Centers have since expanded to Destin, FL and to Gulf Shores, AL. Mr. Barrett is currently a partner, stockholder and executive in those businesses. Mr. Barrett serves as a member of SmartBank’s Investment/ALCO and Human Resources Committees as well as chairman of the Audit Committee. Monique Berke is vice president of business transformation at CBL & Associates Properties, where she is responsible for overseeing project teams and implementation of the company’s business and technology initiatives. She previously served as vice president, investment operations of Unum Group, a global provider of financial protection benefits. Prior to 2009, she owned and operated Berke Coaching & Consulting, providing consulting services to Fortune 500 companies. Ms. Berke has extensive experience in the financial services industry with specializations in human resources and operational effectiveness. Her corporate and consulting backgrounds add extensive experience to the Cornerstone Bancshares, Inc. board in matters concerning human resources, process and change management and strategic planning. She has served on several community non-profit boards and committees and is the recipient of many professional awards. Clifton N. Miller is an attorney who is engaged in the practice of law in Tullahoma, Tennessee. He earned his Bachelor of Science degree in Chemistry from the University of Tennessee at Martin in 1988. In 1991, he graduated from the University of Tennessee - College of Law where he earned his JD degree. Mr. Miller joined the law firm of Henry & McCord in 1991 as an associate and became a partner in 1994. Mr. Miller is a managing partner of the firm, now known as Henry, McCord, Bean, Miller, Gabriel & LaBar, P.L.L.C. His practice concentrates in the areas of commercial law /litigation, education law and banking law. He is a Rule 31 Certified Mediator in the areas of General Civil law and Family law and is an approved mediator by the United States District Court for the Eastern and Middle Districts of Tennessee. He is a member of the Tennessee School Board Attorney’s Association and currently serves as President. He has been active in the Coffee County, Tennessee, and American Bar Associations and is a former president of the Coffee County Bar Association. Mr. Miller is active in the Tullahoma community where he is a former member of the Kiwanis Club and Tullahoma Sunrise Rotary Club, a current member of the Tullahoma Noon Rotary Club and is a former president of the Tullahoma Noon Rotary. He is a member of the First United Methodist Church and is a former Lay Leader, member of Administrative Council, Board of Trustees and Staff Parish Committee. Mr. Miller was one of the original organizers and served as a Director, General Counsel and Secretary for Southern Community Bank prior to his tenure with SmartBank. Ted Miller is the president and partner of Dolly Parton Productions. He has over fifty years of experience in tourism, recreation, development, and marketing of themed attractions. He serves as vice chair of The Dollywood Foundation and The Imagination Library. Mr. Miller is the director and secretary at World Choice Investments. In 1995, Mr. Miller was appointed by the Governor of Tennessee to serve on the Film, Entertainment and Music Commission. In 1998, he was the Tourism Leader of the Year from the Hotel, Motel and Lodging Association. Mr. Miller was appointed to the “Knights of the Roundtable” by the Tennessee State Tourism Industry in 2000. He served as co-chair of an executive committee overseeing the State Tourism Department at the pleasure of Governor Bill Haslam. Mr. Miller also serves on SmartBank’s Executive Loan Committee and the Audit Committee. David Ogle is a real estate developer. He earned a BBA from East Tennessee State University and has a master’s degree in Construction Science and Management from Clemson University. He has completed additional studies at Cornell University in Hotel Development. He is a partner and co-founder of Five Oaks Development Group, founder and sole stockholder in Five Oaks/Ogle, Inc., co-founder and president of Oaktenn, Inc., and also co-founder and officer in Five Oaks Outlet Centers, Inc. 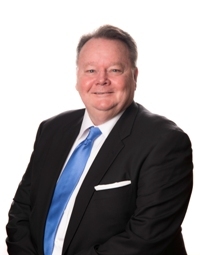 Active in the community, Mr. Ogle is past chairman of the Tennessee Real Estate Commission and past chairman of the Board of Trustees of Carson Newman College. In December 2010, the Trustees of Carson Newman College conferred an honorary doctorate of business administration to Mr. Ogle. He was recognized by Business Tennessee Magazine as being one of the Top Commercial Real Estate Persons in Tennessee. Mr. Ogle serves on SmartBank’s Executive Loan and Human Resources Committees. Keith E. Whaley, OD, is the founder of the Whaley Family EyeCare in Pigeon Forge, Tennessee. He studied at the University of Tennessee, Chattanooga and the University of Tennessee. He earned his bachelor of science in Biology and doctor of optometry from the Southern College of Optometry. Dr. Whaley holds memberships in the American Optometric Association, the TN Association of Optometric Physicians (TAOP) and the East TN Society of Optometric Physicians (ETSOP). He served on the TAOP Board of Trustees from 2001-2010. Dr. Whaley is a past member and Board of Directors member of the Pigeon Forge Rotary Club, where he served as president from 2003 – 2004 and past president of the Business Network International Sevier County Chapter. He also served as mayor of the city of Pigeon Forge from 2007-2011. He currently serves as a commissioner on the Sevier County Board of Commissioners. Dr. Whaley serves on SmartBank’s Investment/ALCO and Audit Committees, as well as serving as secretary to the Board of Directors. Steven B. Tucker currently serves as Principal in Barnett Transportation, a liquid bulk transporter headquartered in Tuscaloosa, Alabama. Mr. Tucker has an expansive background including service as an Officer in the United States Army. After his military career, he joined the national accounting firm, Arthur Anderson, and became a certified public accountant. Mr. Tucker has over 20 years’ accounting experience. Prior to his appointment to the SmartFinancial board, Mr. Tucker was Chairman of the board of Capstone Bancshares, Inc. and Capstone Bank. In addition to his military career, Mr. Tucker’s extensive knowledge of the Alabama business community makes him a valuable asset to SmartFinancial’s growth strategy. His accounting experience, leadership skills and business acumen also lend to insights that are crucial to SmartFinancial’s vision. Through his 20-year career as a CPA and current role as principal for Barnett Transportation, Mr. Tucker has developed an extensive knowledge of the Alabama business community and the financial industry. His many years of involvement with the Tuscaloosa Children’s Hands-On Museum has included the roles of Treasurer and President. He is also a board member of the Alabama Trucking Association Worker’s Compensation Fund. J. Beau Wicks founded and currently serves as President of Southeast Logistics, Inc., a regional trucking company serving the building products industry. Since its inception, the company has grown to operating 300 trucks with four offices in three states. Prior to 1998, Mr. Wicks spent eight years as a Controller for Randall Publishing Company, and six years as the Chief Financial Officer of Cummings Trucking Company. Mr. Wicks brings extensive knowledge of the Tuscaloosa, Alabama market, and has experience with business growth strategies, finance and accounting. Mr. Wicks’ role within Southeast Logistics, Inc. and his previous role as Chief Financial Officer speak to his ability to translate his financial knowledge and expertise into the vision of SmartFinancial. Active in the trucking industry, he is a member of the Alabama Trucking Association, and has served on the board of directors and as Chairman for the Alabama Trucking Association Worker’s Compensation Fund. He has also served in numerous non-profit roles throughout the Alabama market. Geoff Wolpert is the owner of The Park Grill and The Peddler restaurants in Gatlinburg. After graduating from the University of South Carolina with a degree in Business Management, he began management training at The Peddler Steak House in Gatlinburg. Since then, he has managed The Peddler and become majority stockholder in the restaurant’s parent company. In 1988, he sold all The Peddler Steak Houses except the renamed one in Gatlinburg, and in 1995, he opened The Park Grill. Wolpert was recognized as the 2000 Volunteer of the Year by the Gatlinburg Chamber of Commerce and received the 2004 Leadership Award from the United Way of Sevier County. Mr. Wolpert is the founding president of the Gatlinburg Gateway Foundation, and is currently serving on the Executive Committee as the past-president of the Board of Arrowmont School of Arts & Crafts and as chairman of the Development Committee. 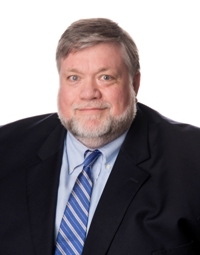 Mr. Wolpert serves on SmartBank’s Audit and Human Resources Committee.